All Posts Tagged With: "Katherine Heigl"
Katherine Heigl, in her newly released movie, “One for the Money” plays the unemployed and newly-divorced brunette Stephanie Plum, who lands a job at her cousin’s bail-bond business. Of course, her first assignment puts her on the trail of a wanted local cop from her romantic past. Katherine Heigl at the 2010 CMAs. CHANEL Celebrity Makeup Artist Angela Levin worked with Heigl at the 44th Annual CMA Awards on Wednesday, Nov 10th, 2010. Angela’s shares with Marta Walsh her tips on how she created Katherine Heigl’s makeup. I had to post the Katherine Heigl and baby Naleigh W Magazine cover for December 2010 because it is absolutely a beautiful picture. Very Sandro Botticelli (16th century classic paintings). Do you love? Katherine Heigl was spotted with THIS hair at the European film premiere of Killers in London, England today. Well, I’m not really sure about Heigl’s hair. It’s OK you are now brunette but what’s with this grandma inspired 80’s hairdo. 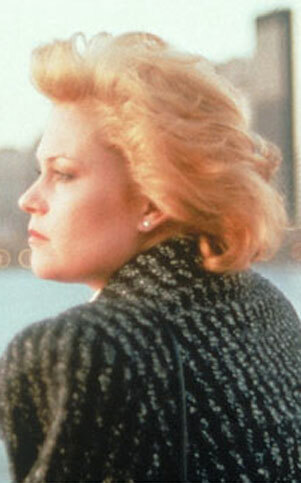 I’m seeing Melanie Griffith in 1988’s Working Girl all over again. 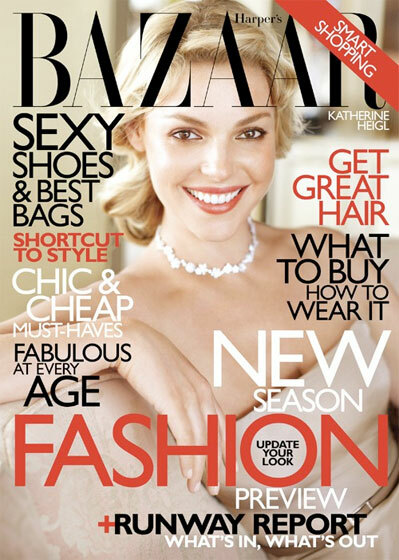 Lucky Katherine Heigl is so beautiful and hair can be simply re-styled. Former blonde and beautiful Katherine Heigl gone brunette. (So unexpected BTW) When I think of Heigl the first thing that comes to mind is Hollywood blonde bombshell. Marta’s is taking some time to get used to Katherine’s new brown hair color. Katherine Heigl pretty or not so much with brown hair? Thoughts? Bree Turner is an actress who began her journey in Hollywood as a professional dancer. Bree was a background dancer in such hit films as The Big Lebowski (1998), She’s All That (1999) and Mike Myers’ Austin Powers: The Spy Who Shagged Me (1999). Bree’s love for performing and being on stage makes acting a natural transition. Most recently, Bree Turner can be seen opposite Katherine Heigl and Gerard Butler in The Ugly Truth. I caught up with Bree Turner via telephone from Los Angeles early in the morning few months ago, to talk about her beginnings in Hollywood, her role film The Ugly Truth opposite Katherine Heigl, future career plans and even some beauty secrets! Bree Turner: I started out as a dancer which got me on stage. I was pretty shy as a kid so my mom decided to enroll me in a dance class, and I fell in love with being on stage and performing. I danced all through my teens and early 20’s. Dancing brought me down to Los Angeles with a dance scholarship in UCLA. I heard that you can actually make money as dancer, so I got a dance agent and began working in commercials, music videos, and the Grammys. I did that for about 6 years. I then decided to pursue acting. I was so in love with being on set and movie making. I loved movies since I was a baby. It was the only thing that would calm me down. I was very colicky as a child so my mom would take me to watch movies. Grease was the movie that would stop me from crying. Dancing, performing, and being on stage is all I’ve done forever, it’s all I really know.